Pollardstown Fen is the largest remaining spring-fed fen in Ireland. Calcereous is supplied to the Fen from around 40 springs which originate from the Curragh aquifer. The Fen began to develop 10,000 years ago when the area was covered by a large lake. 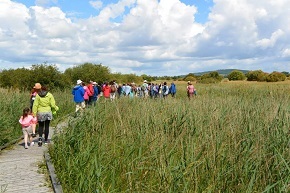 Walking Pollardstown Fen is a wonderful natural experience due to its unique flora and fauna. There is a short boardwalk looped walk of the Fen of just a few kilometers and a longer walk for those walking enthusiasts. For full details of this unusual trail go to WalkingRoutes.ie or call National Parks & Wildlife Service on +353 45 521713. Informative leaflets of Pollardstown Fen are also available free from the Kildare Town Heritage Centre and Tourist Office. The Irish word ‘Currach’ is usually translated as plain, a place of the running horse. 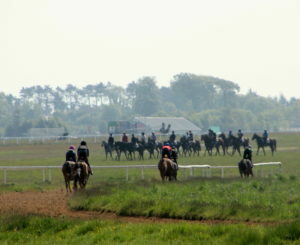 The Curragh was originally known as Cuirrech Life suggesting that it once extended as far as the Liffey. Situated between Kildare and Newbridge it is almost the only area unenclosed lowland grassland in Ireland and certainly the largest. As it is an open plain you can walk in almost any direction. Walkers who begin early in the day will have the pleasure of seeing some of Ireland’s top thoroughbred horses riding out on the gallops and for those evening walkers, sunsets over the Curragh are some of the most magical in County Kildare. See our Curragh page for more information on this beautiful part of the county. 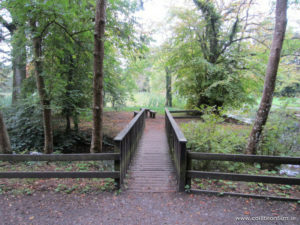 The Royal and Grand Canals traverse County Kildare and both offer some very scenic, natural walks for people to enjoy. The Canals have been well maintained over the past number of years and so, the towpaths are accessible in most areas although, most have barriers preventing high-roofed vehicles entering so be aware of this if you arrive in a van of camper! Although walkers can walk any part of the Canal they wish, the staff here at the Heritage Centre have a few favourite routes which we have shared with you below. Milltown Feeder Walk along the Grand Canal – 3.95km. The River Barrow is the second longest river in Ireland at 192km. Its source is in the Slieve Bloom Mountains in the midlands and it runs through the counties of Laois, Kildare, Carlow, Kilkenny, Wexford and Waterford where it meets the sea. 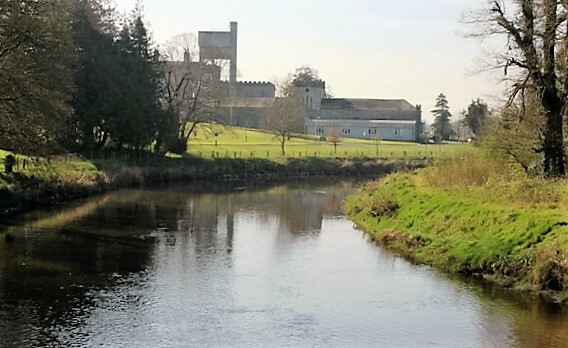 The Barrow Navigation is the stretch of the River Barrow between Athy in Co. Kildare and St. Mullins in Co. Carlow. 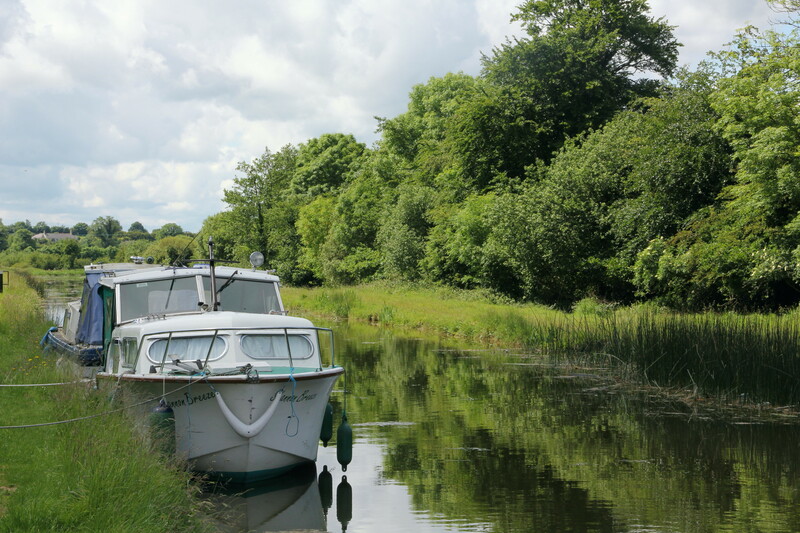 Above Athy, the Barrow Line of the Grand Canal links the Barrow Navigation to the main line of the Grand Canal at Lowtown in Co. Kildare, many interesting and tranquil walks can be found along the Grand Canal throughout Kildare. The Barrow Way App is also available to download from Guidigo for a fee to help you along the way. For those who would like a pre-arranged itinerary to walk the Barrow Way check out, http://irelandways.com/ways/adventures/the-barrow-way. Set in 640 acres of mature native Irish woodland, Donadea Forest Park is a designated National Heritage Area. The Park is home to a diverse range of habitats, a walled stream, lake, and a beautiful Gothic style church dating to c. 1820. The Park is also home to a castle built by Sir Gerald Aylmer in 1624, rebuilt in 1773 after it was damaged in the 1641 rebellion and gothicised in 1827 by the architect Sir Richard Morrison. Unfortunately, this castle is now in ruins but can still be admired by visitors to the Park. Donadea carpark charges €5 per car for an unlimited time and all monies go back to maintaining this wonderful amenity. The Donadea Forest Café is open all year long, Saturday 10am – 5pm & Sunday 10am – 5:30pm and of course, it opens for those all-important school holidays to keep the kids busy! There are a couple of well-maintained routes to choose from in Donadea shown below, or you can choose to go off-track and explore the forest! The Aylmer Loop is a 6km walk, taking an est. 1hr 30mins – 2hrs at an easy pace. The Lake Walk is a shorter walk suitable for almost all fitness levels at just 0.8km. Coíllte developed this 200 acre amenity area just 1 mile outside of Rathangan village. Killinthomas Wood is a mixed hardwood conifer forest with diverse flora and fauna. The woods are ideal for walkers with about 10 km of signposted walks and great access to a wide variety of ecosystems. 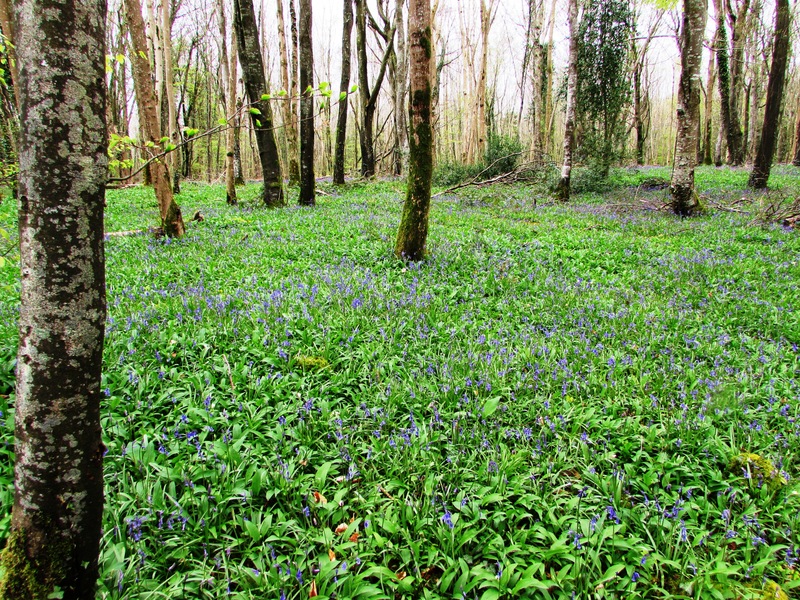 In Spring and early Summer these woods are carpeted with bluebells and wild garlic. There are marked walks with picnic tables and benches dotted throughout so it is also a great place for families to visit. It has good car parks, entrance is free and it is readily accessible for all.